When Pearl had just turned eleven years old, in about 1913, Alf’s investigative experience as marshal qualified him to accept a position in North Platte as a special detective for Union Pacific Railroad for the territory from North Platte to Cheyenne, Wyoming, and he was often away from home. 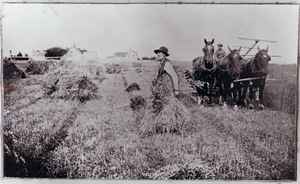 An example of a hay crew of this era. Pearl says “It was a good training period for me, for I learned not only to cook and sew and crochet, but also to help with business matters like paying the bills, at such stores as the E. T. Tramp and Sons Grocery on Front Street. 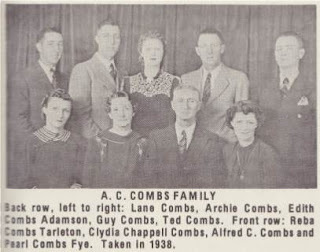 Members of the Tramp family became my lifelong friends, even after they later went out of the grocery business to start a quality shoe store on Dewey Street in North Platte. But Alf was looking for a more secure home and job for his growing family when he met Mr. Dolly, an old family friend on the street in North Platte, who happened to be in town on business from Chicago. Mr. Dolly said, “Al, you are just the man I am looking for. I know a family that owns a ranch and farm at Hershey, Nebraska. The man who was living there most recently was killed in a car accident. We need to get the ranch leased out.” The Bank of Lincoln County put up the money for Alf to enter into a five year lease on the ranch. The family moved to Hershey and operated the ranch for 20 years until 1933 as the “A.C. Combs & Sons Ranch.” The ranch produced thousands of bushels of wheat and corn plus thousands of tons of wild hay. Clover seed was threshed by a steam engine and threshing machine and about 30 men, for whom Pearl Combs did all the cooking. “Most of the Combs men were good all-around cowboys in their own right. 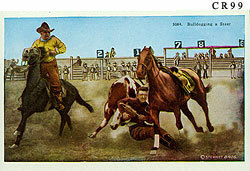 Guy was the bronco-buster. Ted was the bull dogger. Lane was the horse racer.” Pearl recalls, “I wasn’t so bad a horsewoman myself. I rode several miles by horseback to school in Hershey every day, sometimes in weather 15 degrees below zero. Reba was the lady rider. I think Edith may have been scared of horses, if the truth were known. “Some of those memories: The excitement of the family rodeos in the pasture; the crowded country dances in the barn loft; the 15 or 20 men crowded around the tables for three meals a day enjoying their daily jokes on each other and trading stories; the smell of cookies or doughnuts or of fresh bread (12-15 loaves a day) or of 10 pies or more cooling on the work table waiting to be downed by tired, hungry men. There was always a little smell of spice in the kitchen and plenty of work for the women and children. 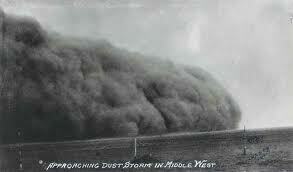 There were always willow branches to be cut to shoo away any flies. Any time the flies got too bad, everyone would grab a dish towel to shoo the flies out of the corner into a swarm in the center of the room and thence out the open door to freedom, after which they would all cluster on the windows, especially before a summer storm. In 1935, the Combs family lost their lease on the ranch when it changed hands; and Alf and Clydia moved to a 10-acre parcel of land in the north part of Sutherland, on part of what is now the high school athletic field. They lived there until for reasons of health, they relocated to North Platte to be closer to their daughter, Edith. They left a rich heritage to their descendants – an ability to see humor in nearly everything, to enjoy life fully by working and playing hard. They taught the virtues of honesty and integrity and the importance of being resilient in the face of life’s trials, of which they had more than their share.